This is “Managing for Business Success”, chapter 6 from the book An Introduction to Business (v. 1.0). For details on it (including licensing), click here. Consider this scenario. You’re about halfway through the semester and ready for your first round of midterms. You open up your class notes and declare them “pathetic.” You regret scribbling everything so carelessly (and skipping class so many times). You wish you had better notes. 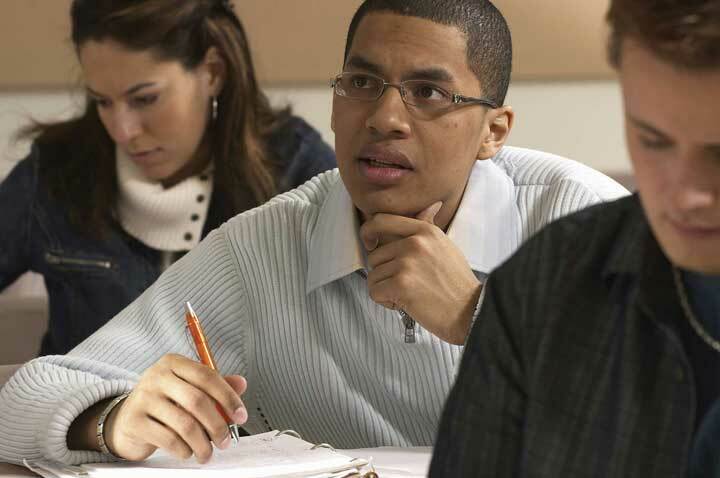 That’s when it hits you: What if there was a note-taking service on campus? When you were ready to study for a big test, you could buy complete (and completely legible) class notes. You’ve heard that there are class-notes services at some larger schools, but there’s no such thing on your campus. So you ask yourself, Why don’t I start a note-taking business? My upcoming set of exams may not be salvageable, but after that, I’d always have great notes. And while I was at it, I could learn how to manage a business (isn’t that what majoring in business is all about?). Would you be willing to pay someone for a complete set of class notes for this course? It sounds like a great idea, but you’re troubled by one question: Why does this business need you? Do the note takers need a boss? Couldn’t they just sell the notes themselves? This process could work, but it would probably work a lot better if there was someone to oversee the operations: a manager—someone like you—to make sure that the operations involved in preparing and selling notes were performed in both an effective and an efficient manner. You’d make the process effective by ensuring that the right things got done and that they all contributed to the success of the enterprise. You’d make the process efficient by ensuring that activities were performed in the right way and used the fewest possible resources. 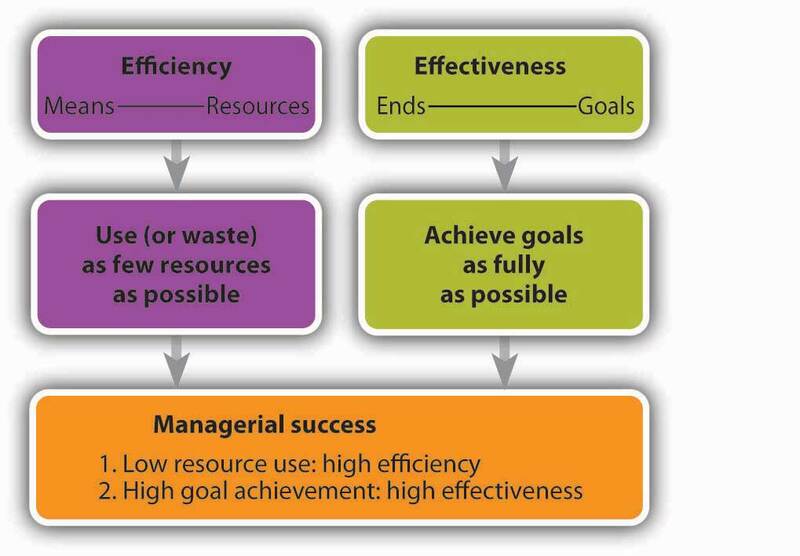 As you can see from Figure 6.2 "Managerial Efficiency and Effectiveness", that’s the job that you perform as a managerIndividual in an organization who is responsible for making a group of people more effective and efficient. : making a group of people more effective and efficient with you than they would be without you.